Thermablaster 125,000 BTU PROPANE FORCED AIR HEATER is equipped with all the industry standard safety features. 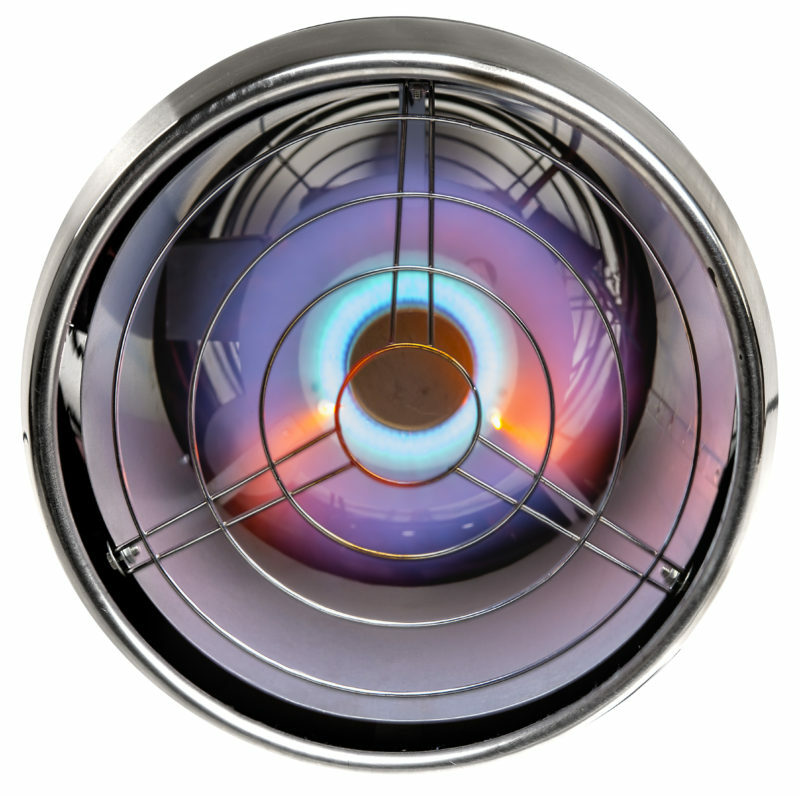 This portable propane forced air heater offers efficient temporary heat for construction sites, agricultural buildings, industrial workspaces, remodeling jobs and more. 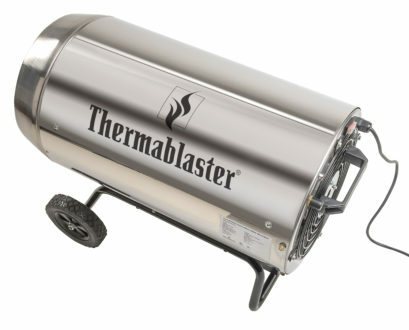 Features a heavy-duty stainless steel design, high-output fan to maximize air circulation and Quiet Burner Technology. Comes with a 10-ft. hose and regulator. Compact and lightweight with attached carrying handle. Uses 20-lb. tank or larger (not included).